On the heels of this morning’s post — Westport is the 9th most educated place in the United States! — it’s worth noting another accomplishment. 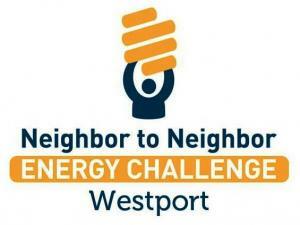 In the Neighbor to Neighbor Home Energy Challenge, we’re #1. And we did not win by a nose (or kilowatt, or whatever). We blew every other town in Connecticut far out of the water. We ended the contest with 819,400 points. Our next closest competitor — Wilton — earned 170,800. Only 4 other towns in the state (Ridgefield, Wethersfield, Portland and Lebanon) got over 100,000. Westport’s spectacular energy efficiency rating comes thanks to the work done by the Westport Home Energy Challenge, and 20 partner organizations. But we’re not resting on our laurels. The Green Task Force has launched a “Stay Cool Westport!” initiative. Anyone signing up for a Home Energy Solutions visit will learn how to lower air-conditioning and heating costs. And — if it’s done by August 31 — donations will be made to the Westport Warm-Up Fund. That’s a Department of Human Services program that helps needy Westporters purchase heating fuel. Congratulations to the 1,548 Westporters who have already weatherized their homes through the Neighbor to Neighbor Challenge. Your “energy” is greatly appreciated. This entry was posted in Environment, Organizations and tagged Neighbor to Neighbor Energy Challenge, Westport Department of Human Services, Westport Green Task Force, Westport Warm-Up Fund. Bookmark the permalink. Looks like this challenge is based on number of homes participating in solar or efficiency upgrades. Before we get too excited about our performance, it would be interesting to see how Westport’s actual energy use (per household, per square foot) compares to the other towns’, and if this program has had any effective impact on meeting its own 20% energy consumption reduction goal. Does anyone have that data/know any leads? The website doesn’t yet…. but it might be still in the early stages of rolling out the program. Thanks Dan for publicizing this…. Pippa Bell Adder deserves recognition. She has has worked tiredlessly to make Westport the leader! I participated in the program and had solar panels installed on my roof earlier this year. Since the end of February I have been generating power and surprisingly have reduced my CL&P bill by 70% or more. I just love sunny days!! Wait, I got my entire house re-insulated. I sort of remember there being a challenge.. but I didn’t add any points..